It is a truth that travelling opens up your mind and if you are travelling with your kids, it is more so. Every family experience together at any unknown place will give your child an ample opportunity to learn about new cultures and bond with the family. However, if you have always thought that a foreign trip to Paris with kids entails problems, give it another thought! It is an excellent option to explore this pulsating city with your kids. Unlike the popular belief, Paris is not just only about romantic rendezvous. It also welcomes family vacationers as there are score of tourist destinations that the kids will enjoy. Take a trip to the Eiffel Tower. If you want to explore the delights of Paris with kids, there is no way that you can ignore this marvelous monument. This magnificent structure can be seen from each corner of Paris. Take a ride on top of the tower and you will be rendered speechless by the breathtaking 360 degree views of this city of dreams. Your kids will certainly love the thrill and amazement of viewing world from the top of the Tower. After taking your first journey to the Eiffel Tower, it is time that you take a look at the masterpieces of art at the world famous Louvre Museum. Louvre will certainly astonish your child and after sometime they might get bored. The best way of engaging your children is creating a sort of treasure hunt for them. Takes print outs of some sculptures and artworks showcased in Louvre and you child can explore the museum while they hunt for those pictures. This treasure will certainly keep the kids entertained for quite a long time. Such small engagements can make your trip to Paris with kids, worthwhile and memorable family experience. Another fun thing you can do in Paris is exciting picnics. 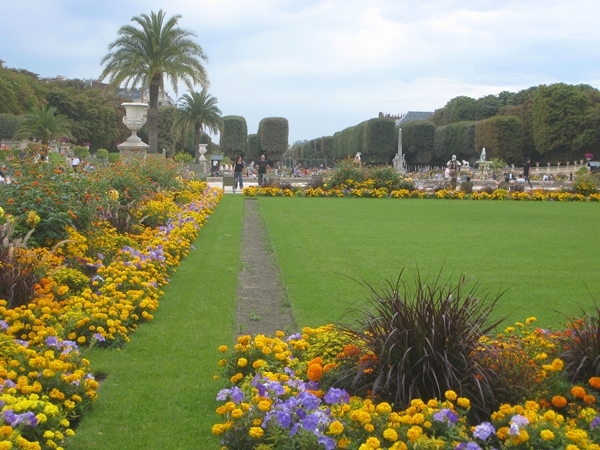 There are scores of beautiful parks strewn around Paris and they attract many travelers as well as Parisians. Stop at the local bakery to pick-up some freshly baked scrumptious baguettes and let your kids choose mini cakes and pastry for themselves. Also you can get yourself cheesy delights and ice creams. These parks have carousel rides, fountains for floating toy boats and large playgrounds. It is an outstanding way to enjoy laidback sunny afternoons with your kids in Paris. Offering so many diverse entertainments, you can rest assured that your trip to Paris with kids will be an amazing experience to cherish forever. This entry was posted in Uncategorized and tagged Eiffel Tower, Louvre Museum, Paris with kids. Bookmark the permalink.